I simply can't resist talking about THE LOST WOMAN by Sara Blaedel... so I'm not even going to try to hold off! While I won't be sharing my full review of this Scandinavian crime book until closer to its publication day, it's never too soon to start sharing why I believe it should be on your 2017 reading list. Here are my top 3 reasons why you should check out THE LOST WOMAN by Sara Blaedel. 1. Emotional character development. Sara's Louise Rick series has always had heartfelt, endearing characters—but THE LOST WOMAN delivers her most emotional story yet. Readers of the series already know and love Eik, Louise's partner at the police force turned boyfriend. THE LOST WOMAN delves deep into Eik's past, and brings readers along as Louise works to save Eik from himself. 2. Compelling subject matter. 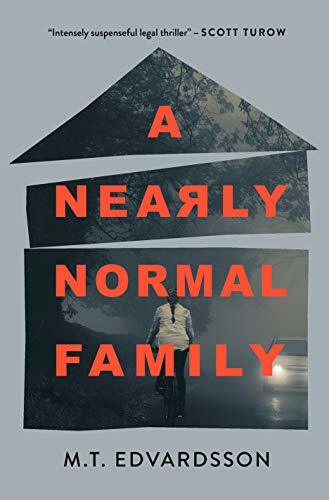 No spoilers here, but I will say that this book delves into an internationally-controversial topic which I had never before seen handled with such sensitivity in a crime novel. As always, Sara has clearly done her research, and the detailed plot reflects the importance of this topic to the author. What impressed me most, though, was how Sara illustrates the way people can react so differently to the same decision—again, no spoilers, but various characters are put through a similar test, and some react with grace and compassion while others become dangerously vengeful. 3. A totally fast-paced read. I flew through THE LOST WOMAN—I actually intentionally slowed down my reading so I could spend more time in the world of this book. If I hadn't held myself back, I would have read it in one day! Its fast-paced tone and compelling plot make it completely binge-worthy. Sara Blaedel is a true talent. On top of the quality of her writing and the research that goes into her books, Sara's crime series stands out for its personality and heart. You know when you can just tell that an author is a kind and thoughtful person from reading their work? This has never been more true for me than it is with Sara Blaedel's books. One of Scandinavia's most steadfast talents, Sara proves yet again why she deserves the title of "Denmark's Queen of Crime" with THE LOST WOMAN. Mark your calendars for its publication on 2/7/17, and stay tuned for my full review as we approach pub day! And one final note: if you are new to Sara's Louise Rick series, now is the perfect time to start so you can be ready for THE LOST WOMAN. I recommend starting with THE FORGOTTEN GIRLS, followed by THE KILLING FOREST (which is my fave in the series, by the way! ).